Mom, What's For Dinner? : New Year, New You! I know you don't want to hear this, but it is November. That's right. Time for all the holiday temptations that leave you feeling miserable after the damage has been done. All of us fumble during this time, myself included. Knowing that I will take a few mis-steps during the festivities, I decided to be pro-active about it. 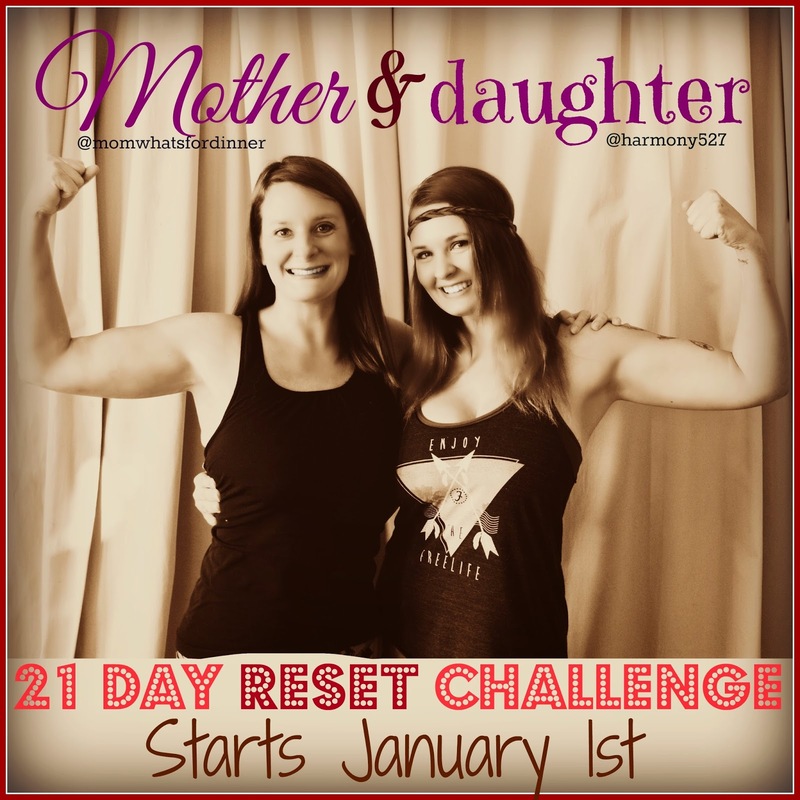 First of all my daughter and I committed to a 21 day detox/cleanse reset that we will do online and we hope you will join us. Moms, we are supposed to be the example here. Let's make sure we do that! There will be sponsors announced soon. To join follow us and let us know you are committing to take the challenge. I will post more about it later. 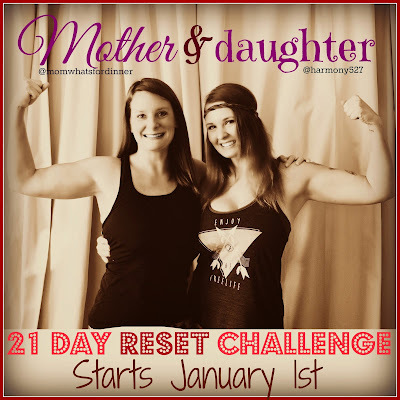 The hashtag for this challenge is #MotherDaughterReset2015 Even though we have this challenge coming, this is not the time to stop and say "I will just start in January". It is the time to make small little steps to prepare for when you are ready to dive in. I have committed to making this happen in 2 simple ways. 2. I am committing to making sure my body gets 100% of the nutrition it needs EVERY DAY! No exceptions. Fine if I stumble and eat that treat, at least I know I put all the proper nutrients in my body first! When my body is properly taken care of, I stumble a lot less. You may say "It is impossible to do every day". You are wrong. If you stumble on getting your fruits and veggies in your body, you can do what I do and use the superfood wellness shake that has all your daily nutritional needs in one packet. I commit to having one per day. It is as easy as sprinkling it in my food sometimes. This is the time to start planning for your life to change. The definition of insanity is doing the same thing over and over again, but expecting a different result. You have to do things differently if you want a change. Christmas is around the corner. Instead of asking for the same stuff. Ask for workout clothes, yoga mats, foam rollers etc... whatever your movement of choice is, now is the time to PLAN, so you can take ACTION when January 1st comes. I don't know your situation, weight, health, emotions etc... but chances are if you are reading this you are hoping to make some changes in the New Year. I am here to help you. I can help because I spent last year taking these steps, I was successful and my life completely changed for the better. It starts with you and how you take care of our body. It flows over into every other part of your life, your relationships, your job, your finances,... it can all stem from how you feel about yourself. So how about it? Do you want to take this journey with me? I will help you personally with this. Since winning my battle with Cancer last year I have a strong passion to help others. You can email me personally and I will get back to you. Let me help you live the life you have always dreamed of! Email me, I am here to help!